Two new North Carolina A&T engineering professors have been honored by the North Carolina Space Grant program. Dr. Trisha Sain has been awarded the 2014-15 North Carolina Space Grant Award, and Dr. Fatemeh Afghah has received the N.C. Space Grant New Investigator Award. Dr. Sain is an assistant professor of mechanical engineering. Her award will fund a research project titled, “Numerical modeling of constitutive behavior of ice at high strain rates.” The study will focus on the development of a constitutive model for capturing high-rate response of “ice,” potential harmful debris that can damage aircraft and space structures. 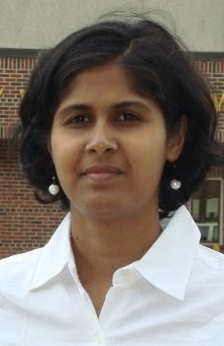 Her research focuses on integrated computational materials engineering, including characterization of novel nanocomposite hydrogels, constitutive modeling of polymer nano-composite, computational modeling of curing kinetics and curing induced damage in thermosets under large deformation, mesoscale simulations of TiN thin film growth and 3D TiN nanostructures, and biomimetic material design. She joined A&T last September. She had been a post-doctoral fellow at the University of Michigan, Department of Aerospace & Mechanical Engineering. 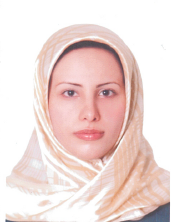 Dr. Afghah is an assistant professor of electrical and computer engineering, She won the new investigator award for her research in inter-satellite communications in autonomous small satellite networks. She is the director of Wireless Networking (WiNet) Laboratory in the Department of Electrical and Computer Engineering. Her research focuses on wireless communications, dynamic spectrum sharing, game theory optimization, and biomedical data analysis. Dr. Afghah also came to A&T last fall. she received her Ph.D. in electrical and computer engineering from the University of Maine in 2013. The New Investigators Program is designed to strengthen North Carolina’s aerospace-related research infrastructure by providing start-up funding to early-career faculty conducting research aligned with NASA’s strategic research. This entry was posted in Best of the blog 2014, Engineering, Faculty and tagged Dr. Fatemeh Afghah, Dr. Trisha Sain, integrated computational materials engineering, North Carolina Space Grant, small satellite networks. Bookmark the permalink.